Having the proper amount of lighting in your restaurant is of the utmost importance if you wish to keep things running smoothly. Not only does it play a large part in the overall atmosphere, but proper lighting can also have a tremendously positive impact on employee productivity and occupant safety. 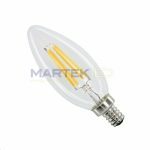 If you are looking for LED restaurant lighting at an affordable price, Martek LED is your one-stop shop. We know how important it is to have a high-performance lighting infrastructure illuminating your establishment. That’s why we’re proud to be a nationwide supplier of specialty light bulbs, LEDs, and lamps. 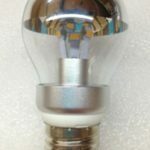 Clients in various industries rely on us for a wide variety of commercial, industrial, and residential lighting supplies. 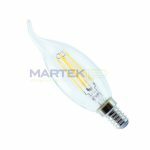 When you need high-quality lighting supplies, we’ve got a vast selection of items suited for nearly any application. 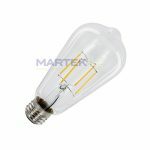 Do you need lighting supplies for your eating establishment? 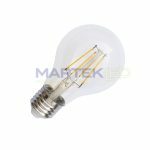 We offer energy saving light bulbs as well as safety coated and shatterproof light bulbs to keep your restaurant safe and your costs low. 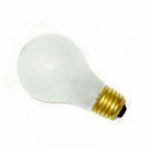 Peruse our online inventory, and you’ll find everything from vintage Edison-style bulbs to light bulbs designed for wet and dry locations. So, whether you’re performing a small-scale interior update or you’re renewing your restaurant’s aesthetic, we’re confident we’ve got the right lights that are sure to serve you well. Are you unsure which type of restaurant lighting products you need? With over 30 years of experience to our name, our dedicated specialists have extensive industry and product knowledge. As a result, you can have the utmost confidence in our ability to serve you. We’ll gladly help you determine which of our products would best serve you. Simply discuss your needs with one of our courteous servicemen, and we’ll help you find what you’re looking for. Browse our selection of restaurant lighting or visit our food service & bar LEDs page to browse our additional assortment of commercial lighting supplies. Contact our specialists for more information regarding our restaurant lighting products. Based in Cherry Hill, New Jersey, we serve clients nationwide.